Sun Tzu | Desert Diamond Industries – Your Safety… Our Priority! Remember, we’ll be exhibiting the Ductile Iron Safety Blade, Ductile Iron Ring Saw Safety Blade and Carbide Chunk Blade at the American Water Works Association‘s ACE13 conference in Denver, Colorado from June 9 to 12! Editor’s Note: Our apologies if you came to this post from Twitter. We had planned to post photos from FDIC 2013. Unfortunately, FDIC seems to have taken those photos down from their site, and we forgot to change the tweet for this post. Again, our apologies. 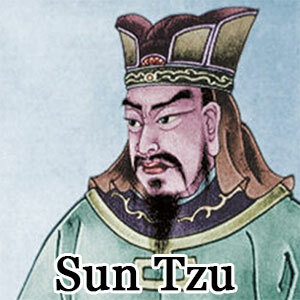 This entry was posted in Quote of the Day and tagged Quote of the Day, Sun Tzu on May 2, 2013 by Desert Diamond Industries. This entry was posted in Quote of the Day and tagged Quote of the Day, Sun Tzu on January 23, 2013 by Desert Diamond Industries.